Lithium Ion batteries are pretty sensitive to cell over/under voltages (also depends on specific Li Ion chemistry). Lead Acid batteries are (in general) much more forgiving. There are entire websites/books/discussion threads on Battery Management Systems. Generally, for a fully automated system, you need to look at "per cell" battery management (each cell is monitored for voltage, and may have balancing function too). It is very difficult for a "standard" AC inverter + Battery charger to adequately manage a Li Ion battery bank without "talking" to a BMS system. If you choose to manually configure and operate a Li Ion battery bank--You are taking the risk yourself. LiFePO4 and variants of that chemistry have been made into "house battery banks" (boats, cabins, etc.)... And can be done if you are diligent in your understanding+configuring+monitoring of the system. I do know that the XW+ when configured with the Conext Bridge will support AC coupling, Self Consumption, Offgrid, and Back-up applications for XW+ and CSW inverter chargers. 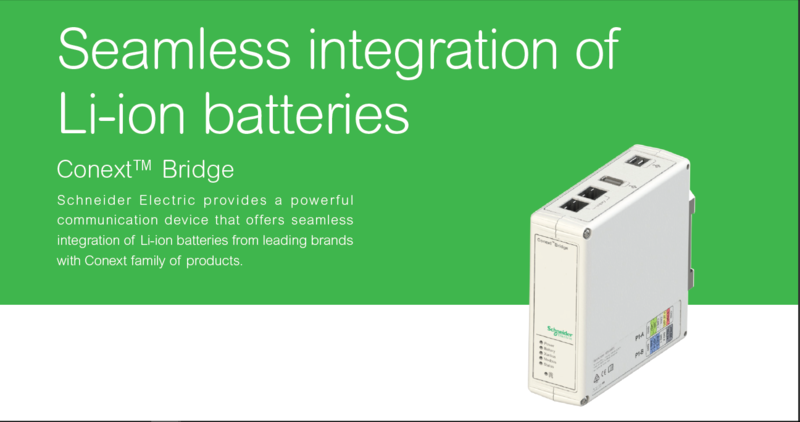 The Bridge application is completely configured by Schneider for specific battery systems. 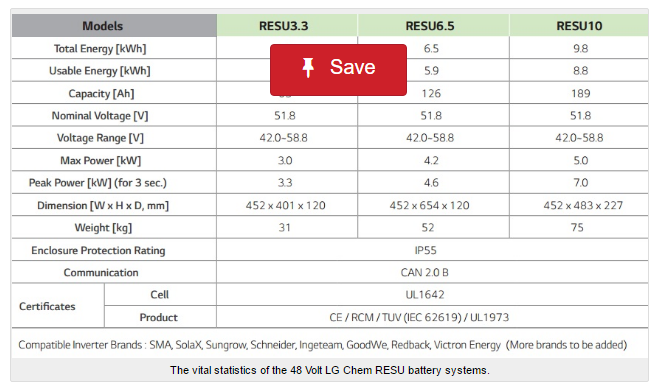 I would say at this time if you look at the LG RESU 10 battery system you could look at what it will control. The application you refer to is what Bill is talking about. The Bridge will change all of that and as the title of this thread states, it will be available in the 2nd half of 2017. This application is for battery systems with BMS protection built-in already and is a second set of eyes for large Schneider systems. I believe I hear you (and Schneider via their tech document) saying that if Li-Ion with cell level self-protection package is used (Simpliphi, LG RESU - low voltage), AC-coupling could relatively safely be performed today with XW+ and grid- tie inverters that employ frequency-shift power control. This would assume some "blind" power management by the user as the battery will just cut out at over-discharge (hopefully frequency control would protect from over-charge before battery protects itself and cuts out). However, the forthcoming Conext Bridge will add an additional level of monitoring/protection and will add some additional logic for features beyond grid-forming for off-grid - presumably making for an off-gird system more simple to operate without battery protection outages? I also forgot to mention that module level electronics will be required for the solar in this particular example, so AC-coupling is extremely important to me. Is AC-coupling complicated if the inverters are confirmed to function together? Seems to be more simple on paper and allows use of more standardized high-volume products for the solar. But I guess I can see the advantage of DC-coupled if CC and inverter/charger are from the same company. It is all possible. The simpler the overall design, the easier it is to implement and keep working over time. Pre-loaded set-points, a couple xanbus connections, and possible firmware. System will indicate battery health, expected life, and SOC. Just speculating, but the only required communication I can think of is a "turn off" signal from the BMS to the charger if cells get too far out of balance (ie, the balancer isn't keeping up) or overheated. Fixed voltage, current limited charging should already be in good charge controllers. No communications to the charger or inverter needed. The downside to such systems is that the mosfets put an upper limit on current flows (charge, discharge and surge discharge). Keep thinking and also speculating on what happens in very large applications and how current limiting is currently done with large loads and a discharged battery from different battery manufactures. Also the data of SOC, battery life remaining, and battery health being communicated globally and simply. This approach is really is not for the small systems that homebrew and do-it yourself types write about but I suppose if one took the interest it can be done if you want to be responsible about it. I look at it as an easy way for an installer to safely and easily install a high quality Li-ion with it's own BMS. 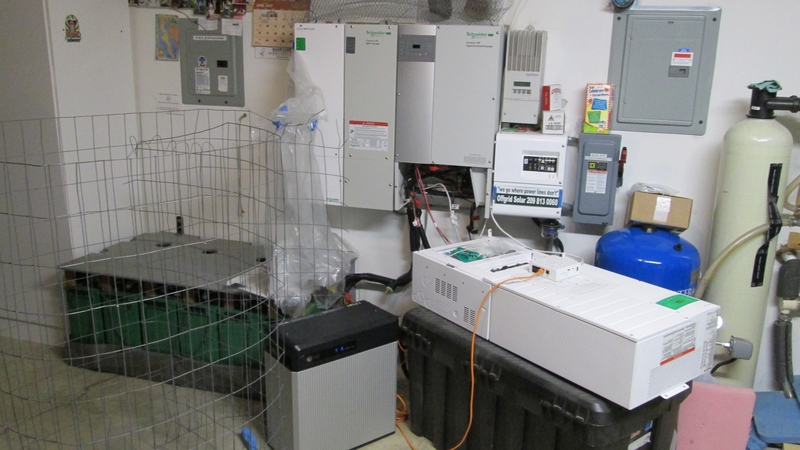 Battery systems like Panasonic, LG Chem, Samsung, Hoppecke, and others communicating (safely) with a home power system with multiple charging sources such as Outback or Schneider. So @Dave Angelini if this is not intended for us home brew installs, is it a safe bet that it will only be supported by the XW inverters, and not so much for someone like me with the SW4024 (plus the MPPT60-150, and the SCP)? I'm firmly on a path with batteries right now, but when we have to replace those batteries I'd really hope that LiFePO4 batteries will be a viable alternative. Off-grid cabin: 6 x Canadian Solar CSK-280M PV panels, Schneider XW-MPPT60-150 Charge Controller, Schneider CSW4024 Inverter/Charger, Schneider SCP, 4 x Vmax XTR12-155 12V, 155AH batteries in a 2x2 24V 310AH bank. I'm not sure that answered the question, but ok. I guess it is pay to play. I just re-read what I said, and realized it might be taken as offensive. No offense intended. A better way with more words (I was in a hurry) would have been: I take it from your response that this is not a retail item, but one that will be through authorized installers and consultants, so if someone wants to utilize it or know more about it, they will have to go through a professional. All that is fine. I was just wondering (independent of whether I have to work through a qualified pro like you) if this new bridge will even work with an SW inverter, rather than the more large-scale XW. Again - Sorry if I worded that badly. No disrespect intended. I shouldn't respond while taking a quick break from cooking dinner! I can't answer your question as it has not been decided and if you want a guess, it certainly will not be on a public forum unless you lend me a Lawyer. There is no reason it will not work but the bridge firmware/hardware is for specific large battery systems and I think down the line they may decide that a cabin is not their target. Firmware does cost money. The other way for you is to do what others are doing with homebrew Li-Ion. Just be careful as unattended cabins do burn down. I like what Bill wrote. Sorry about that Dave. I hadn't picked up on it, but having gone back and read the entire thread it's now obvious you are under an NDA on whatever this thing turns out to be. No worries. With any luck, it will be several years before I need to worry about new batteries, and there is no telling where the technology and price point will be on all this stuff at that time. The LG RESU 10 and its smaller capacity energy storage can be doubled and there are plans for different options. Looking at Dave Angelini's 1/14 Post (#23), I am left being upset that there has to be another piece of equipment for monitoring the Battery Monitoring System, aka the Bridge. The Bridge is really just because no BMS maker is going to port their system to Xanbus. I don't know why Xanbus can't be switched or compatible to a more universal method of data transfer. The Control Box on my now fairly old system is working fine, but I wish I could monitor things, and change parameters remotely, or even on a set schedule through the computer. Instead, it is walk to the box, push the buttons, wait to make sure the pushed button actually registered, and then wait until I have to do this again. I suppose there aren't a huge number of people using it to shift peak to off-peak, and thus resetting parameters throughout the day, but still it would be nice to make things easier if possible. I still have the ancient firmware on the XW60-150 because it is such a hassle to get the special dongle thingy that is required. And, now that I'm thinking of it too, Schneider has even removed their String Sizing Tool from their website, that was spectacular. So it makes me much less enthusiastic about buying more Schneider equipment if I'm adding PV capacity. There is almost always another piece of equipment when you are interfacing one make of a system to another reliably. There also is not a reason that the Bridge could not be built into an XW or an SW for that matter, but you would have to buy a new inverter. You probably would not like that either. You must have been incognito as the Dongle for installing firmware was replaced with the Combox over 5 years ago. Complete remote monitoring/parameter update anywhere in the world. With Insight you can look at dozens of solar sights, at least I do safely and easily. I know you don't know why Xanbus can't be changed to something else just for you. The string tool was dated (there are much better up to date models) and the panels are changing fast enough that it was abandoned. I think Bill can give you some info on what he likes. I really do not use them anymore with the HV Mppt. they sure make it easy, NOT, to find that matrix.... try a search for it...NADA ..
You can blame Schneider if you want but it is me trying to load this acrobat from my desktop. Could I have some help Bill? Dave, not you, I opened that PDF and on page 2 first section it says..To get a full list of compatible batteries, devices and supported confgurations, please refer to the Bridge Compatibility Matrix Document on our website. I could not locate it on their site, a google search is almost empty. I cannot find anything more (I cannot even find this PDF file on the web)... Dave, your PDF file displays fine. Thank-you Bill I thought there was a problem here on wind and sun. Mr. Westbranch, as the title of this thread tries to convey, the Bridge is scheduled for release sometime in the 2nd half of 2017. My calendar says it is not there yet. Even my Canadian engineers/business buddies say that their calendar is the same as mine. I should have spelled it out and to be fair, the team leader told me that. Just too busy here. It really is the battery system that is going to hold-up Outback or Schneider. The best being built are in South Korea and most of us know that issue. I won't be going there for training... LG Chem is building a plant here, if you search the internet you can find out more about this RESU10. It is still pretty amazing to me to have a 95% charging efficiency after decades of lead acid. An inverter that is around 95% at 1Kw load which is about where my cooling and heating consume. It is like what solar tracking does for battery life/load support and really helps in winter. Nice to be at 98% at 8am! I do not understand the Keanu Reeves thing but I do not watch much television or entertainment. 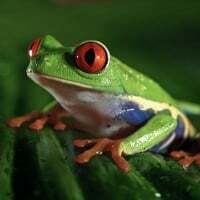 I will say that Schneider Electric and Schneider Electric Solar can make a search or break it. They are a huge company. Please start a new thread as I would like this to stay about the Conext Bridge and the LG battery. List your equipment and we will try and help. I’m sorry for the confusion that our brochure is not explaining correctly. we are planning to complete the test within May. Please note this and don’t use the Schenider until we complete the test. Since you do not have the Schneider Conext Bridge gbaig and since Schneider has not released it as I explained, you will have to wait. The Thread title here is sometime in the 2nd half of 2017. That could be 12/31 but as the engineer from LG stated probably next month there will be news and hopefully a web page. Context bridge seems to be not compatible with XW6048, is that right understanding?